Have you ever heard of the art of papercutting? 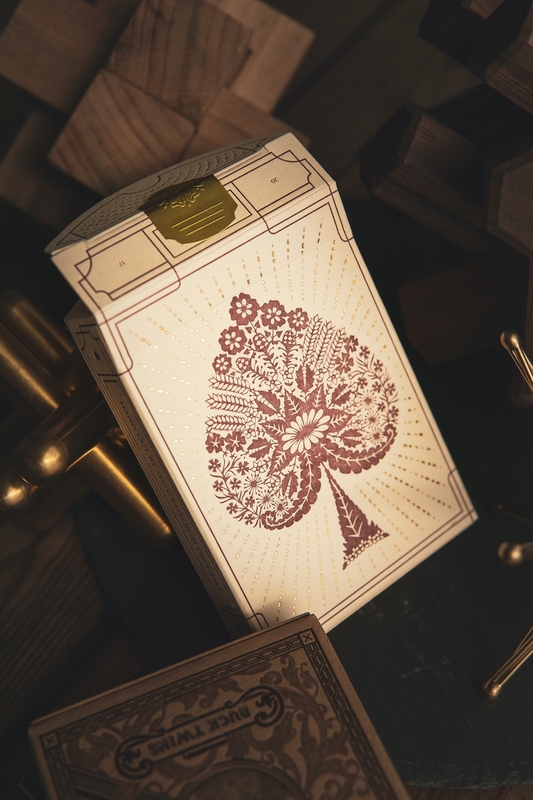 @suzytaylordesigns is an incredible paper cutting artist and she has partnered with @artofplay to create a deck that is truly astonishing. 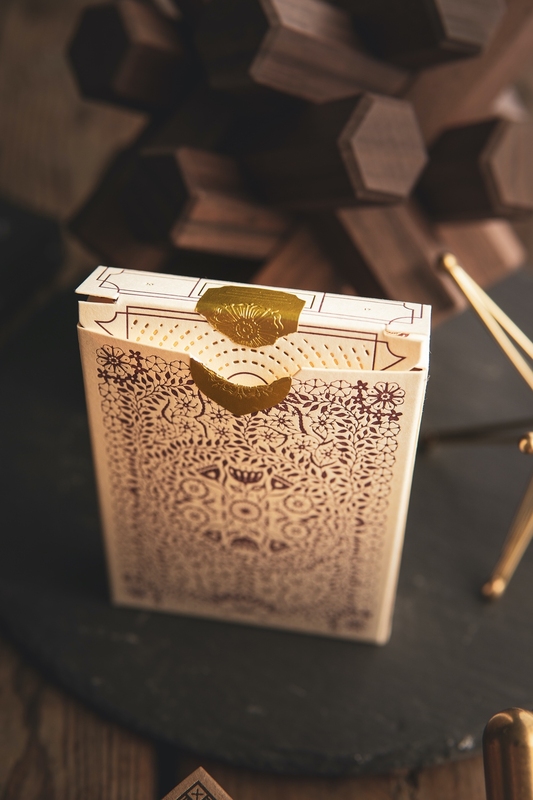 This deck features unique faces and an awesome back design that will definitely catch your eye. 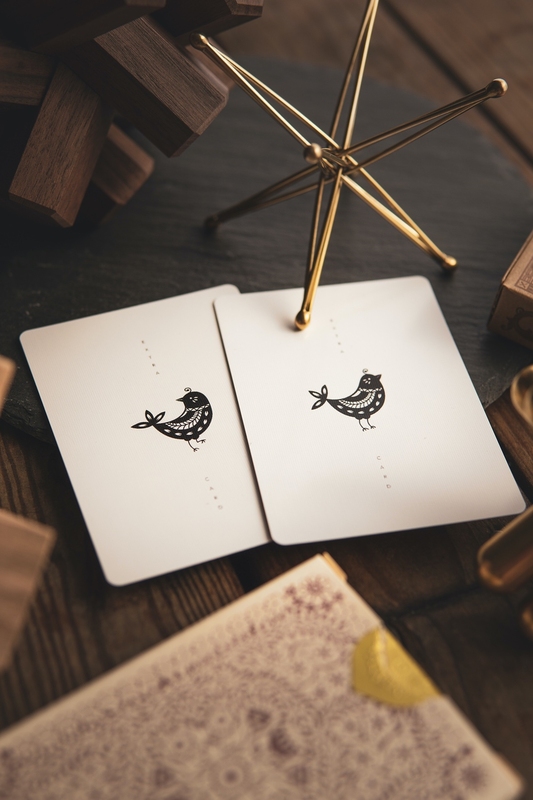 Each of the paper cut designed cards was made by hand from a piece of paper using an x-acto knife to reveal the finely detailed shapes. 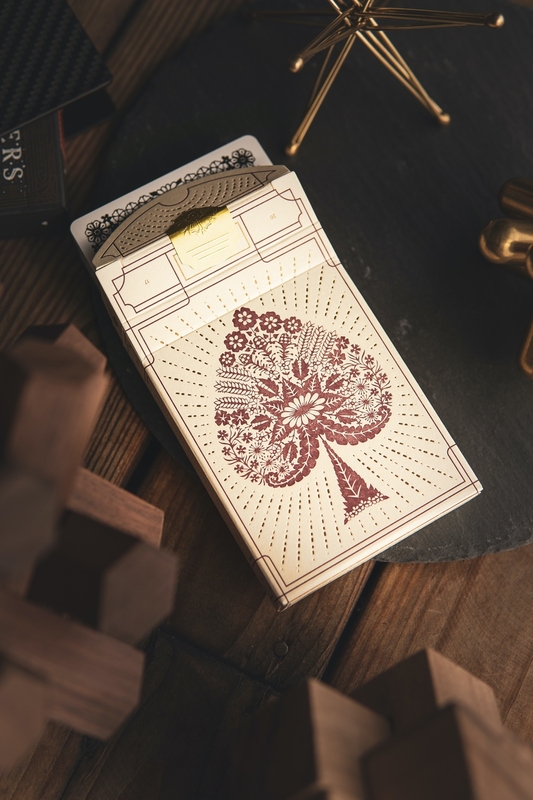 The paper cuts where then digitalized and converted into playing cards, making each card truly unique and beautiful. 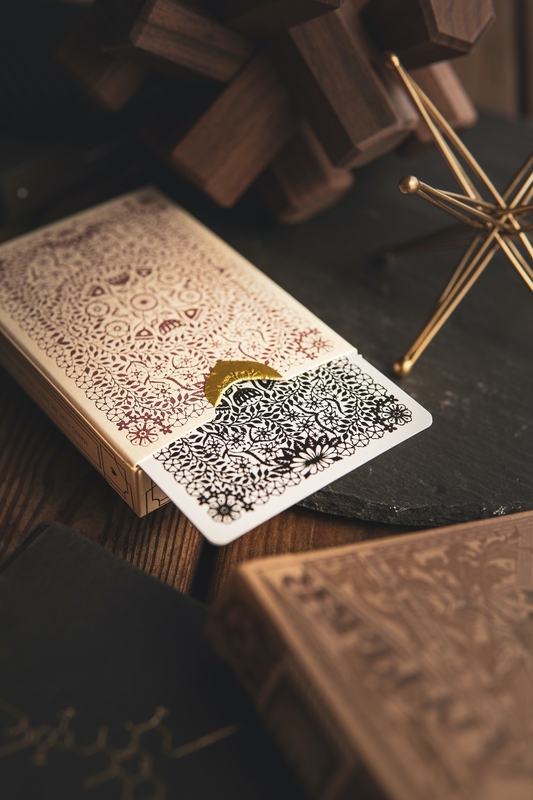 The biggest and most obvious strong suit of this deck is the incredible level of detail that was created in the process of making this deck. 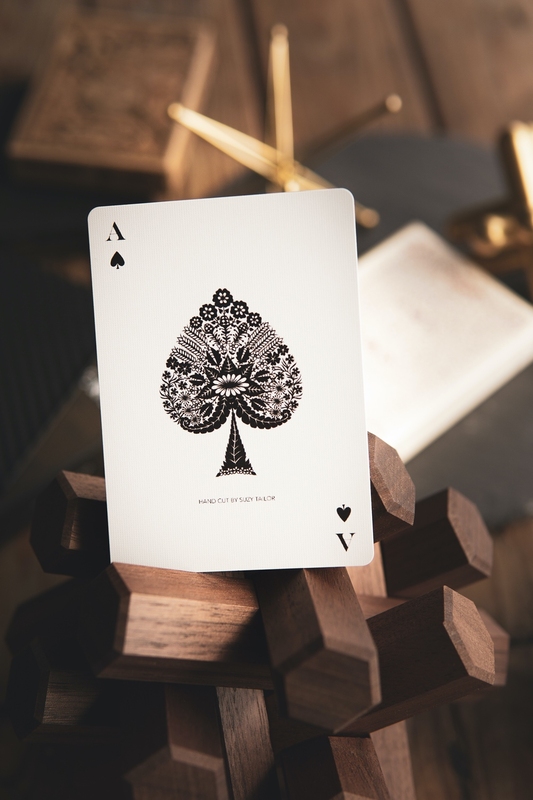 Finely cut details are evenly distributed across all of the cards. My goal was to focus in on the details and highlight the insane amount of work that was put into this. To bring out all these fine elements I had to photograph the deck accordingly and I managed to back-/sidelight the deck with natural light and a big diffusor. That way the light became „creamy“ and created beautiful and flattering soft shaddows that complemented the delicate lines in the paper cut design. 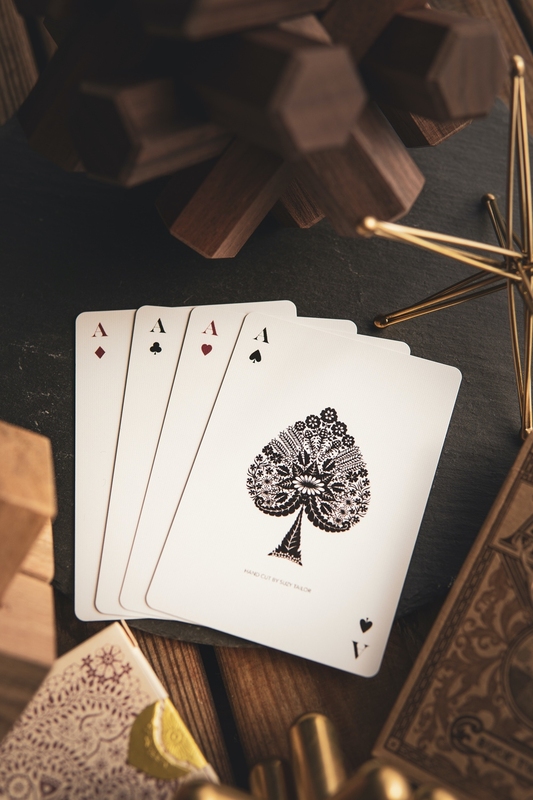 The color palette for this deck was along the same lines of the colors of the deck. 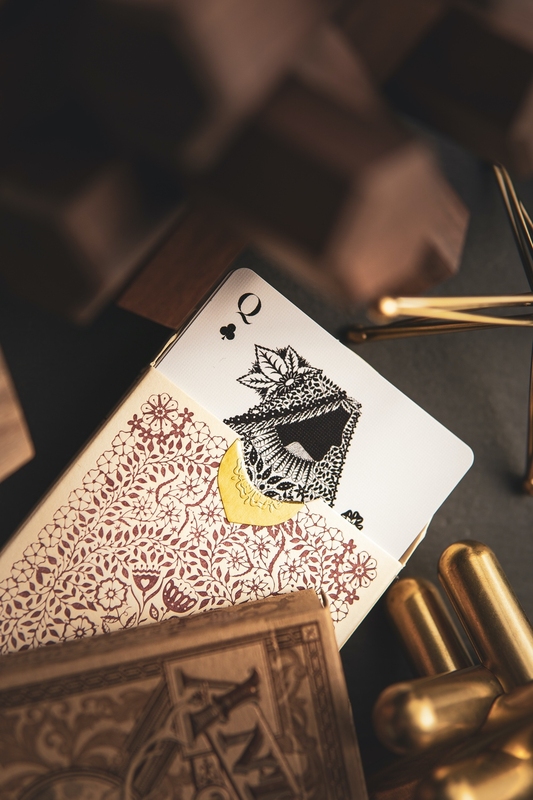 The bronze puzzles work together with the cream and golden colors in the tuck case, while the brown and black colors of the wood and stone work together with the dark reds and backs of the cards.